An Affordable Yet Fantastic Experience At Hotels In South Goa! Goa is considered the beach capital of India. Its long beach lines along the western coast of India are very famous and are visited by thousands. Goa is perhaps one of the holiday destinations that handle largest number of foreign tourists visiting India. Goa is known for its mixed culture. The Portuguese colonialized Goa. Although, no longer a colony of the Portuguese, Goa has picked up some of the Portuguese traditions while being a colony and had kept them alive since. There is a unique mix of Indian and Portuguese cultures that is nowhere else to be found. Colva Beach: Colva beach bears a reputation of being the longest beach one can find in South Goa. It is said to be about 20km long. The beach is perfectly suited for couples and family who want some adventure to go along with their beach visit. There are adventure sports like speed boat rides, parasailing, wind surfing and many more for the tourists to take advantage of. Due to its immense popularity, the Colva beach is usually pretty crowded. The Beach is also famous for the full-moon night parties, tropical drinks at the bars and dolphin watching. Palolem Beach: The Palolem Beach is not as crowded as Colva Beach. 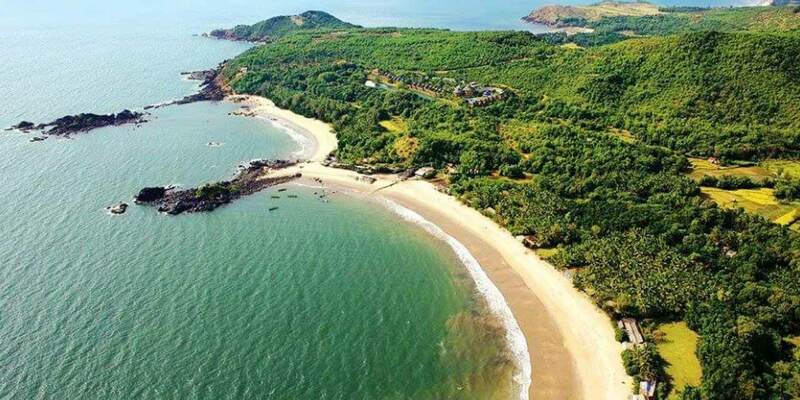 It is situated in Canacona in Southern Goa. This beach is perfect for the people looking for a secluded beach. Apart from being secluded, the beach offers scenic beauty unlike Colva Beach. Palolem Beach offers a variety of activities that the tourists can undertake. Dolphin watching, shopping in the flea market and leisurely beach walks while fresh breeze blows across the beach, are some of the activities tourists may undertake with the intention to relax. There are also beach shacks where tourists can relax and enjoy the sunset by the beach. Butterfly Beach: Situated in deep tropical forest, the Butterfly Beach is not as famous as other beaches. The lack of fame can be down to the difficulty in reaching the beach. But, once reached, the beach caters unparalleled beauty to its visitors. Named after the butterflies that fly about in the sea breeze, Butterfly Beach also offers Dolphin sightings, marine life visibility when low tide is operational and a captivating sunset for the tourists to view. The white sands and the rocks that are present by the beach only add to its beauty. Cavelossim Beach: This is yet another beach that is not explored by the tourists too much. Hence for couples and families seeking seclusion, this beach would be the ideal fit. Large expanses of white sand meet the blue sea water and create a wonderful spectacle for the tourists to feed on. Dolphin watching, boat rides, leisurely morning walks and shopping for souvenirs are some of the activities that a tourist may undertake while staying at the beach. However a lack of night life may be undesirable for many. Majorda Beach: This is one of the most famous beaches of Southern Goa. People looking for Goan delicacies and dishes come to visit this beach. There are shacks that make delicious food to cater to the hunger needs of its tourists. Due to the immense popularity, the beach can tend to be crowded. It is also due to its popularity that there are several hotels and resorts here to deal with the large influx of tourists. It is believed that the locals first learnt baking in this part of Goa, hence the bakeries around Majorda Beach are of paramount quality and hence are a must try proposition. Bagatel the Boutique Hotel: Bagatel is a 3 star hotel that has outdoor pool and bar facility available. Set in Baga, it is 1.3km away from the Britto’s. They serve breakfast with options for Continental and buffet. A well trained front desk is on standby for help 24 hours. The hotel is about 43km from the Goa Airport. SinQPrive: This is a 4 star luxury hotel that boasts unparalleled comfort and luxury. Its infinity pool makes it stand out amidst all other hotels. This hotel has 39 rooms to choose from. The 39 rooms are divided into 2 categories- Classic Rooms and Luxury Deluxe Rooms. Zuri White Sands: Zuri White Sands is a hotel that covers an astonishing 38 acres of land. 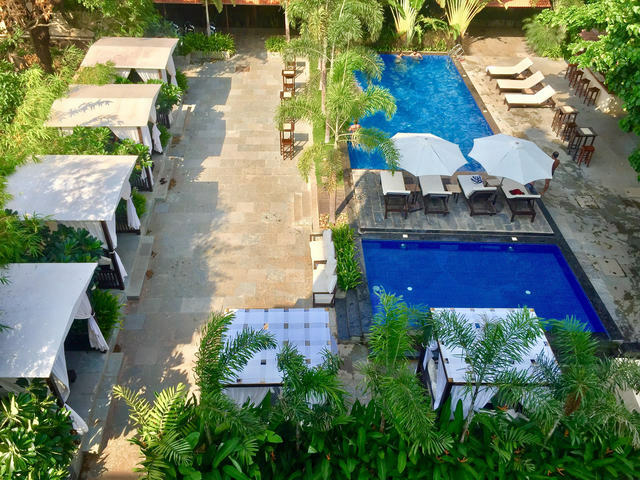 It has an outdoor pool and some of the rooms even offer the wonderful view of the shining water of the Arabian Sea. The hotel offers 3 kinds of room in Garden View Twin Rooms, Zuri Premium Rooms and Zuri Deluxe Rooms. Royal Pearl Resort: The Royal Pearl Resort is a luxury resort that represents a perfect blend of contemporary architecture and modern amenities. This resort has 48 rooms that offer Deluxe Rooms as the only variety of room. There are separate swimming pools for the kids and the adults. Both are set up in outdoor conditions. Caravela Beach Resort: Spread out over an area of 24 acres, the Caravela Beach Resort is a one of the best hotels in south Goa worth considering. Equipped with a conference hall for business meetings, Caravela Beach Resort claims to be ready to handle both leisure and corporate travellers. This hotel offers 5 kinds of rooms, these are- Garden View Rooms, Ocean Garden View Rooms, Superior Rooms, Deluxe Rooms and Deluxe Suite. South Goa and its varied kinds of beauty attract tourists from all parts of the world. To go with the beauty is the easy access to adventure sports and the hotels in south Goa offering quality stay makes the destination all the more enticing.